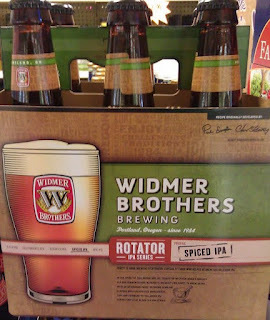 Finally, a new addition to the Widmer Rotator IPA series that actually comes to us fresh. 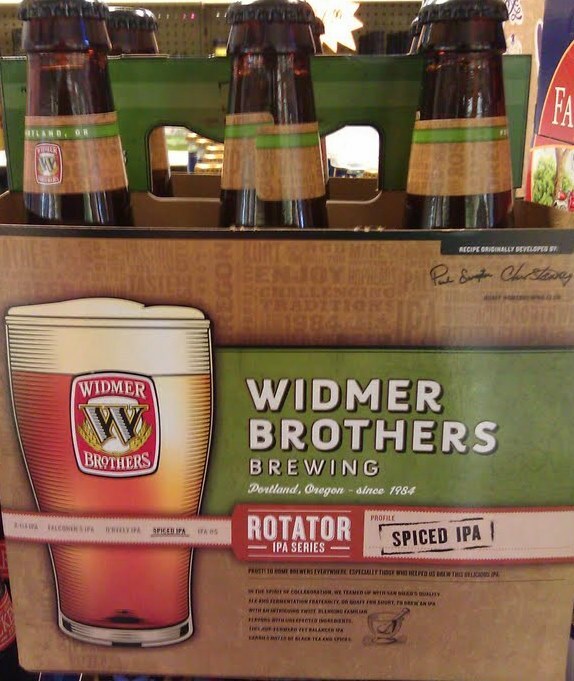 Soon to be a hit in nursing homes everywhere, Spiced IPA utilizes Falconer's Flight, Zeus, Millennium, Alchemy, and those great Galaxy hops in Widmer's newest IPA. What will really have people gumming at the bit is the addition of these other ingredients: Assam black tea, ginger, cinnamon, black pepper, star anise, clove, and cardamom. That's right. 7% ABV, 70 IBUs, and a science experiment in a bottle. Depending on which store you visit, you might find previous Rotator IPAs, but I know for sure that Wyoming Kelly's has it now. Just follow the line of Buicks and Oldsmobiles.